Michael Smart / For Shaw Media Gene Beck hits from the bunker during the McHenry County Senior Classic Saturday, June 28, 2014 at Crystal Woods Golf Club in Woodstock. 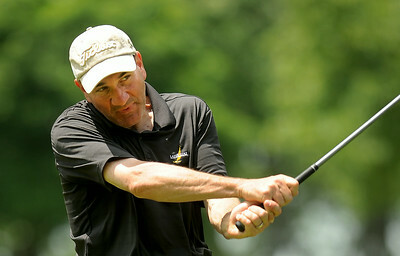 Michael Smart / For Shaw Media Don Langland of Cary hits from the 18th hole tee box during the McHenry County Senior Classic Saturday, June 28, 2014 at Crystal Woods Golf Club in Woodstock. Michael Smart / For Shaw Media Sam Hoffman hit from the bunker onto the 16th green during the McHenry County Senior Classic Saturday, June 28, 2014 at Crystal Woods Golf Club in Woodstock. Michael Smart / For Shaw Media Eric Mayer hits from the tee box to the 18th green during the McHenry County Senior Classic Saturday, June 28, 2014 at Crystal Woods Golf Club in Woodstock. 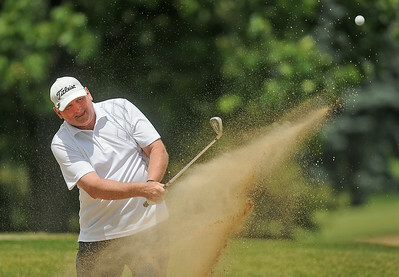 Michael Smart / For Shaw Media Tony Miranda makes the sand fly after he hits from the bunker onto the 18th green during the McHenry County Senior Classic Saturday, June 28, 2014 at Crystal Woods Golf Club in Woodstock. 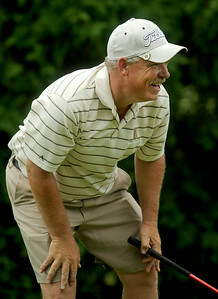 Michael Smart / For Shaw Media David Missimer of Lake in the Hills displays dissatisfaction on a missed putt during the McHenry County Senior Classic Saturday, June 28, 2014 at Crystal Woods Golf Club in Woodstock. Michael Smart / For Shaw Media Ralph Robles reacts to a missed putt on the 17th green during the McHenry County Senior Classic Saturday, June 28, 2014 at Crystal Woods Golf Club in Woodstock. 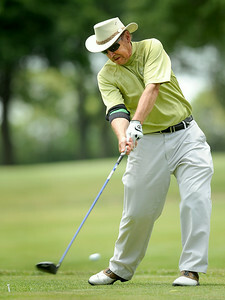 Michael Smart / For Shaw Media Dave Schacherer hit from the 18th hole tee box during the McHenry County Senior Classic Saturday, June 28, 2014 at Crystal Woods Golf Club in Woodstock. Michael Smart / For Shaw Media Dave Schwartz of Marengo watches his ball after hitting from the tee box on hole 18, during the McHenry County Senior Classic Saturday, June 28, 2014 at Crystal Woods Golf Club in Woodstock. 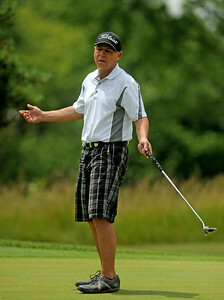 Ralph Robles reacts to a missed putt on the 17th green during the McHenry County Senior Classic Saturday, June 28, 2014 at Crystal Woods Golf Club in Woodstock.